Thank you for your interest in supporting the Tourism Leadership Council. We are eager to share with you opportunities to increase your visibility in the tourism community. 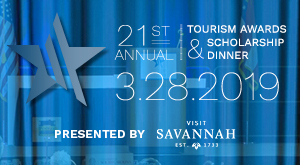 Plan your advertising budgets around supporting a $2.5 billion industry that provides more than 26,000 jobs in the Savannah area. Maximize your exposure by sponsoring the TLC throughout the year and during special events. We are the largest trade organization to represent tourism. With your sponsorship, you will be exposed to our vast community while you support our efforts to grow the organization that’s working for the industry. 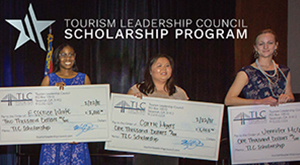 TOURISM PARTNERSHIP PROGRAM – Become a Tourism Partner with the TLC and receive year-round exposure through banners, event sponsorships, and web presence. EVENT SPONSORSHIPS – Each of the special events we put on have different levels of sponsorship opportunities. Fill out the form below and we will be in touch about how we can work together.